> Previous collections>Emotion>Emotion> Korean fashion gothic jacket brocade black and silver. Korean fashion gothic jacket brocade black and silver. Korean fashion gothic jacket brocade black and silver. 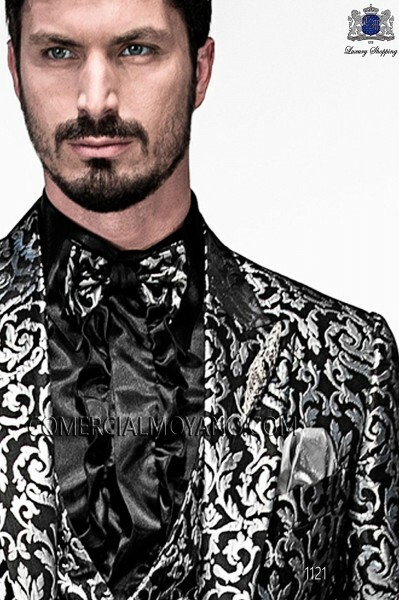 Fashion jacket 1690 Emotion Collection Ottavio Nuccio Gala. Satin black trousers and satin black foulard and matching pocket square to complete the outfit. Carlos Hernández (24/02/2017): Korean fashion gothic jacket brocade black and silver. - Muchas gracias por todo! El traje me sienta perfecto! Jorge Cardenas (14/06/2016): Korean fashion gothic jacket brocade black and silver. - Tienda muy recomendable, gran trato y servicio. Paul Beckett (17/05/2016): Korean fashion gothic jacket brocade black and silver. - Good service, thanks for all! Wilhelm Günther (08/12/2015): Korean fashion gothic jacket brocade black and silver. - Bestellung ohne Probleme geliefert, alles ok danke! 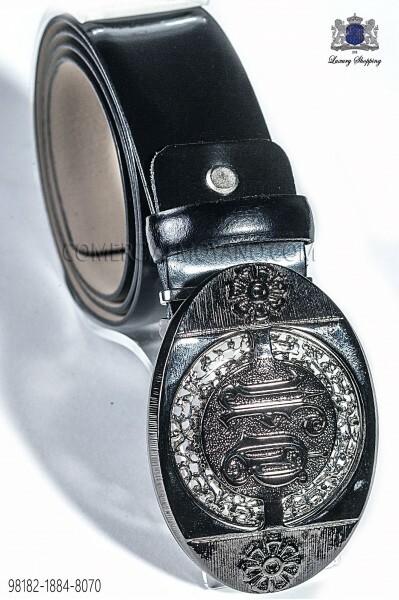 Pierre Babonneau (05/06/2015): Korean fashion gothic jacket brocade black and silver. - Je l'aime !! Suitable wedding fashion suit for alternative weddings with rock or gothic inspiration or evening party. 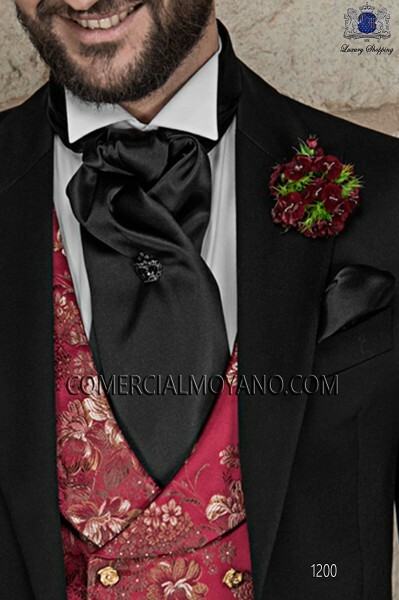 - Black satin foulard with matching pocket square. 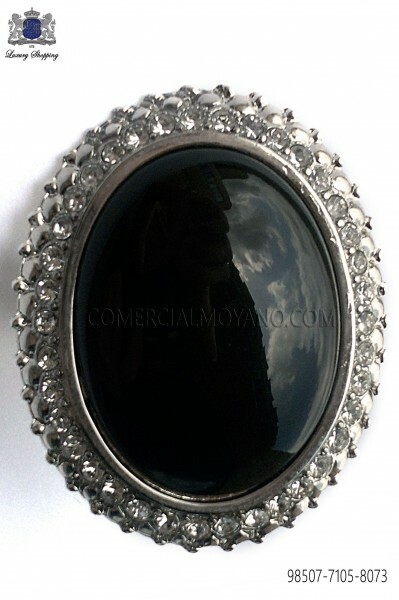 - Cameo silver brooch with black stone and crystal rhinestones. - Black satin shirt with frills on the front and on the cuffs. 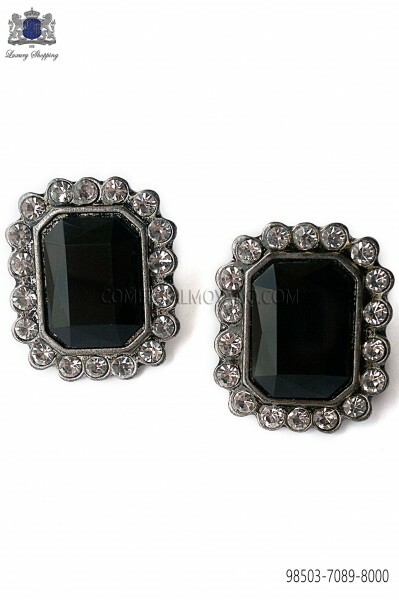 - Gothic dark silver cufflinks with black stone and crystal rhinestones. - Cotton black socks made from 100% Scottish yarn. 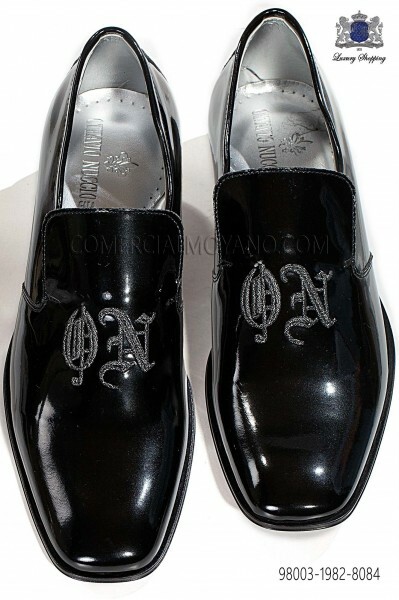 - Black patent leather slipper shoes with silver ON design embroidery.